As we are prepping to send our oldest to high school this fall, the Summer Reading list that came home from her future school looks MUCH different than mine! I always find it ironic that I read more in the summer than I do in Fall and Winter, but something about sitting with a great book on the deck, by the pool, or at the beach always seems to make me feel like I am on vacation! Reading is always a wonderful mental escape, and I prefer my books like the feeling of summer: light, enjoyable and something that makes you feel good at the end! I started reading this on my flight back from vacation, and cannot wait to finish it at the beach this weekend! She always does a great job layering stories and characters and never disappoints! This just came out in paperback, so it won’t weigh down your beach bag. I love everything he writes and feel like the facts and historical references of symbols in his stories will help me one day with Jeopardy questions…. I am counting down the days until this is available next week, and with a five-year-old at home, essay-based books are always great when you need to read in short stints of time! These books are a family favorite and a great option for little ones to read en route to summer BBQs! The only thing better than following an author who never fails is the chance to meet them! Join us on Wednesday, July 20 as we partner with The Boston Globe and the fabulous Meredith Goldstein (yes, of Love Letters fame!) as she has a conversation with best-selling author (and one of my Summer reading go-tos!) Jane Green! 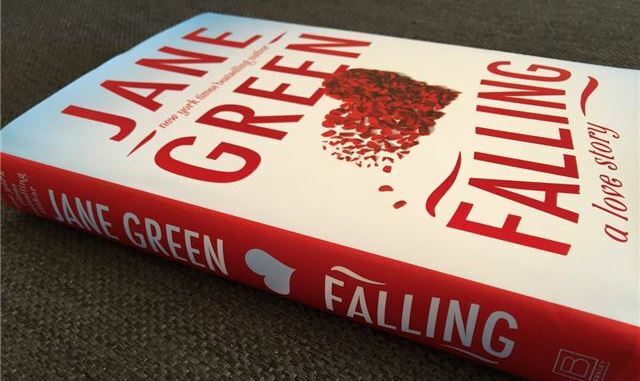 She will be signing her newest release, Falling, that will be hot off the presses on the 19th. The best part? The event is free!